These special colors employ miniscule particles of titanium-coated mica to achieve their dazzling properties. Use them alone or mix them with standard colors for striking effects. 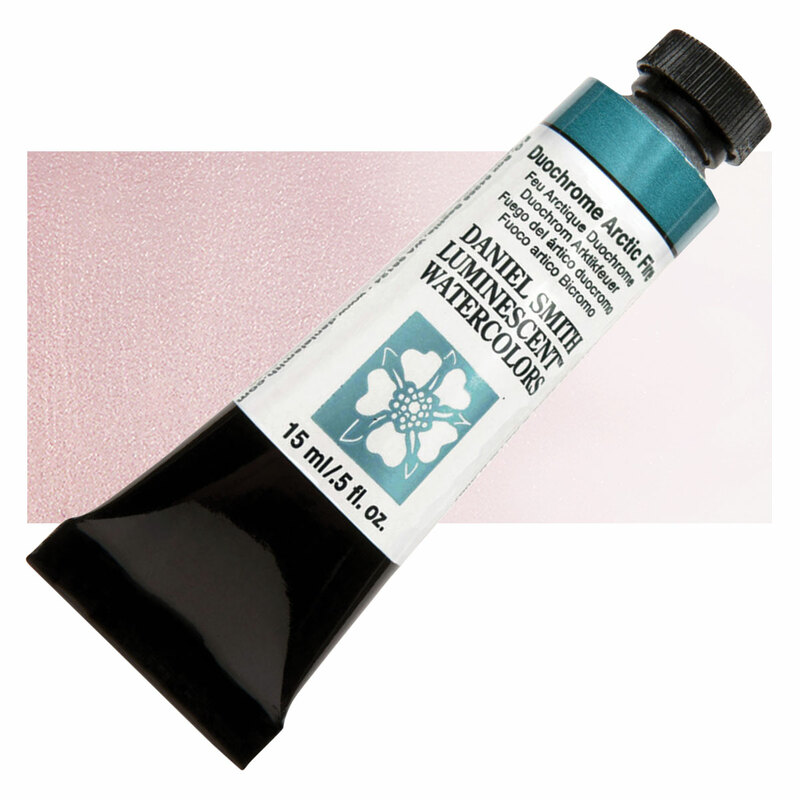 Iridescent/Pearlescent colors appear almost colorless straight from the tube, but when applied over a dark ground they create a fascinating sense of depth, along with intense color and sheen. Interference colors take on different hues depending on how the light is striking them from various points of view. For example, Interference Green looks like a shimmering, pearly green from one angle, but from another refracts a reddish hue. Duochrome colors bounce between two distinct colors depending on the reflective light — pure visual excitement! All are single pigment colors with the top lightfast rating of LR I.